Recently there has been a string of scary, high-profile bomb threats directed at Jewish community centers around the country. Some of the resultant coverage has been heartbreaking — images of tiny little kids hustled out of buildings, scared and confused about what is going on. These threats, combined with several instances in which Jewish cemeteries were vandalized, appear to mark a real uptick in the expression of anti-Semitic sentiments. Today, authorities announced their first break in figuring who was calling in the bomb threats, announcing the arrest, in St. Louis, of Juan Thompson, a former Intercept writer who left that job after it became clear he had engaged in widespread fabrication. Thompson, authorities say, was responsible for at least eight of the JCC threats that have been called in. It is believed that these were copycat acts inspired by other recent bomb threats, and were part of a pattern of abusive and harassing behavior directed at an ex-girlfriend, whom he tried to implicate in the acts. That word copycat should catch the eye of anyone who has been watching the recent spate of anti-Semitic threats unfold. After all, these threats have received a huge amount of media attention. So maybe it will sound like an odd question, but it’s worth asking: Should national media outlets be covering each and every bomb threat so aggressively? When you zoom out from the shock and outrage elicited by these acts and examine the broader landscape, there’s a strong case to be made that the wall-to-wall coverage only invites more threats from troubled individuals like Thompson who have no intention of actually planting a bomb anywhere. That’s because it is remarkably, scarily easy to issue anonymous threats these days, whether over the phone or online. With just a bit of technological know-how, any idiot can do a decent enough job concealing their identity to significantly reduce the odds they will be easily caught. There are also entire internet subcultures, some of them quite psychotic, which are gleefully obsessed with threatening anyone they don’t like. Some of these subcultures are driven by true anti-Semitism and other ideologies, others by 4chan-type nihilism (not that anyone should act like there’s a meaningful distinction between a bomb threat issued for lulz versus for “genuine” reasons). What everyone who makes a bomb threat has in common, though, is that they want attention. They want their threat to spread fear and cause chaos. And they have an easier time accomplishing this goal than ever before, since any threat, even a not-very-credible one against a small-town location, will quickly be able to hop aboard social media for a free ride to national coverage and outrage. These threats are almost always bunk. It’s hard to find any hard stats on this, but when is the last time an actual bombing or attack was preceded by a phoned- or emailed-in warning? 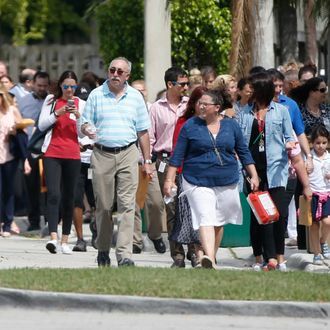 Authorities do need to always take these threats seriously, of course — it would be ridiculous to argue that a JCC shouldn’t be evacuated after a threat, or that authorities shouldn’t aggressively seek out the perpetrator of that threat. On that front, the threateners will always have something of an upper hand: They will always be able to cause at least a little bit of chaos. But media outlets do have some power here to mitigate the damage caused by those who call in threats. They can decide whether it makes sense to pay attention to and publicize such threats, knowing that if they do it will make the act itself appear more appealing. And in fact, media outlets have had these sorts of conversations before, particularly with regard to covering suicides in a way that will minimize the very real possibility of so-called contagion effects in which people, particularly adolescents, view suicide as a somehow glamorous or valorous act. Now, just as the people who call in threats are operating on the basis of certain incentives, so too are media outlets. These stories are compelling, they’re scary, and, to be frank, they get clicks. Moreover, no one wants to be accused of anti-Semitism by not covering a bomb scare against a JCC everyone else is covering (the same logic applies for hate crimes directed at other groups, of course). Perhaps most important, there’s a growing sense among progressives — one which surely motivates media outlets’ decisions — that any expression of hatefulness needs to be visibly, forcefully responded to, that to not respond is an act of complicity. This belief is couched in some unexamined assumptions, though. If it could be shown that aggressively covering and publicizing the anger caused by bomb threats had the effect of reducing people’s incentive to issue those threats, that would be one thing. But the truth is very likely the opposite: It is almost certainly the case that breathless coverage of bomb threats, on balance, emboldens and encourages the Juan Thompsons of the world to issue them. Technology has obviated certain deeply ingrained bits of folk wisdom about the efficacy of pointing to a bad act and saying “We find this unacceptable” in unison. This only works if everyone considers themselves part of the same community and adheres to the same values, and if there is a reputational or disciplinary cost to deviating from the norms being promoted. What if you’re part of another community — a community that delights in terrorizing people? And what if you’ve accurately gauged that, should you decide to go through with a bomb threat, your odds of being caught are fairly close to zero? Of course, even if media outlets decided tomorrow to stop publicizing some bomb threats (which they won’t), social media, which operates on its own track according to its own rules, would continue to do so. But it’s still worth questioning whether every threat has to be publicized, and whether the trend toward doing so might bring with it some unintended consequences.